How's everyone doing, Mitakiharans local and worldwide? I am Gir Todafunk, Mr. 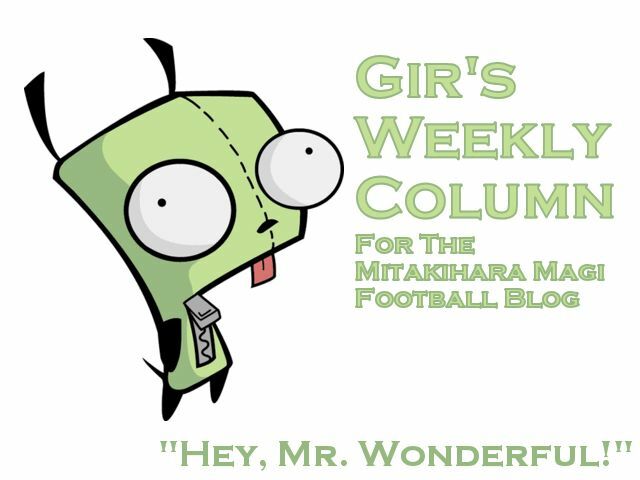 Wonderful, with another Weekly Column for the Magi Football Blog and the Daily Magi newspaper. Don't look now, folks, but we are now four weeks away from action starting. We're going hard and fast with these practices, and next month, they will be a little bit lighter, so that we can focus on film studying. I want to go ahead and talk about my position. A cornerback (CB) (also referred to as a corner) is a member of the defensive backfield or secondary in American and Canadian football. Cornerbacks cover receivers, to defend against pass offenses and make tackles. Other members of the defensive backfield include the safeties and occasionally linebackers. The cornerback position requires speed and agility. A cornerback's skillset typically requires proficiency in anticipating the quarterback, back-pedalling, executing single and zone coverage, disrupting pass routes, block shedding, and tackling. In zone coverage, the cornerback defends an assigned area of the field. Many schemes and variations were created to provide defensive coordinators great latitude and flexibility which aim to quell offensive schemes. When a team is utilizing zone coverage, some areas of the field require special attention when defending against specific pass plays. They include the flats (to defend the screen pass and hitch routes), mid range zones including the void (to defend the "stop n go", quick post, fade, hook, curl, and "sideline" or "out" routes), and finally the deep zones (to defend the post/deep post, chair, streak, "fly", "go", bomb, or Hail Mary routes). These are basic terms (perhaps the most generic) for the basic zones and routes which vary system to system, league to league, and team to team. In my next weekly column, I will talk about some of the forms of zone coverage that are used in our Morning Rescue set. Till next week, I am Gir Todafunk, Mr. Wonderful, signing off. You are not alone.